Kidderminster’s Holy Trinity School was overjoyed to receive a letter from Minister of State for School Standards congratulating them on their progress. The Minister, Nick Gibb MP, wrote to the Birmingham Road school to congratulate the head teacher, staff and students for the high levels of progress being made, with the school’s results (published 19th January) showing them to be amongst the top 5% of schools in terms of the progress students make between key stage 2 and the end of key stage 4. Holy Trinity School Head teacher, Mrs Pamela Leek-Wright commented: “ It is my belief that all schools work incredibly hard on behalf of their pupils and so to have recognition of that hard work is both rewarding and uplifting. 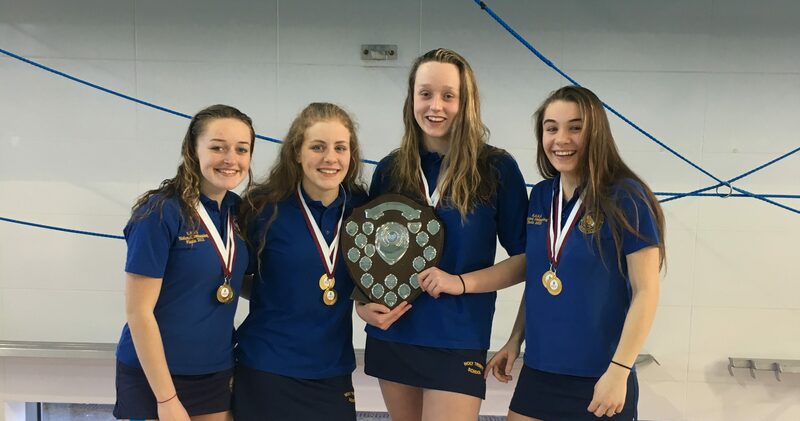 “In this particular case work undertaken by our pupils and staff has resulted in some outstanding achievements and so I would like to thank all involved for their commitment and dedication.” Holy Trinity has a long and successful record in academic and sporting achievement, most recently added to by the U15 Girls Relay team who achieved 1st place in the Bromsgrove Relays for both individual and freestyle races. The competition was held at Abbey Stadium in Redditch and competing were 20 of the top swimming teams within the Midlands, from schools including Bromsgrove and Kings, with the Holy Trinity team taking home 2 gold medals after delivering personal best times in both the Medley and Freestyle Relays.